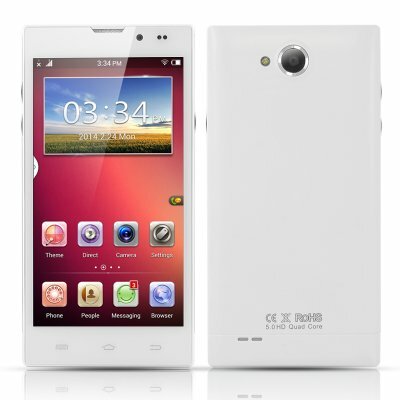 Successfully Added 5 Inch Android 4.2 Smartphone 'Trim' - MTK6582 Quad Core, 1280x720p HD Resolution, 3G to your Shopping Cart. 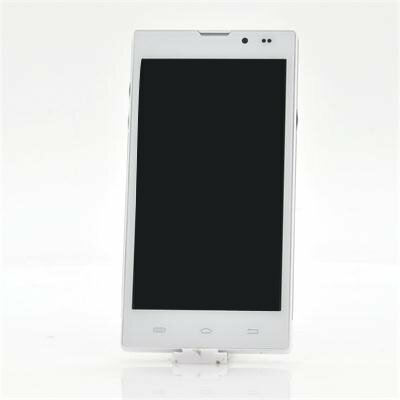 The Trim is a budget 5 inch MT6582 Quad Core Smartphone with 1280x720 HD resolution and camera, Android 4.2, a 5 point touch screen and 8G of ROM. The Trim’s smooth 1280x720 HD screen responds swiftly to your fingers by utilizing a 5 point touch screen that will immediately make you happy you bought this phone. It feels just as smooth as the more expensive Smartphones, and is fit to support gaming, drawing, designing and more. A 5 inch screen is neither too large nor too small plus ideal for typing and watching videos alike. You’ll want the size to enjoy the great resolution this phone offers. Just wait until you see this silky display. Your wallet and brain will feel wide when you buy a Trim. Trim’s MT6582 Quad Core processor keeps is steady and strong, ready for you to browse, play games, watch videos and more as it reaches speeds of up to 1.3 GHz. A true steal for the price, this processor will keep going even when you push it to the max. In stock now, we guarantee that this Trim Android Smartphone can be dispatched within one working day with a 12 months warranty. Brought to you by the leader in electronic devices and wholesale Android Phones, Chinavasion. very good phone very fast very good performance. had one battery and an extra screen protector. don't have a classic launcher but the launcher is very good.